A basket to collect new socks during a sock drive. Very cool! 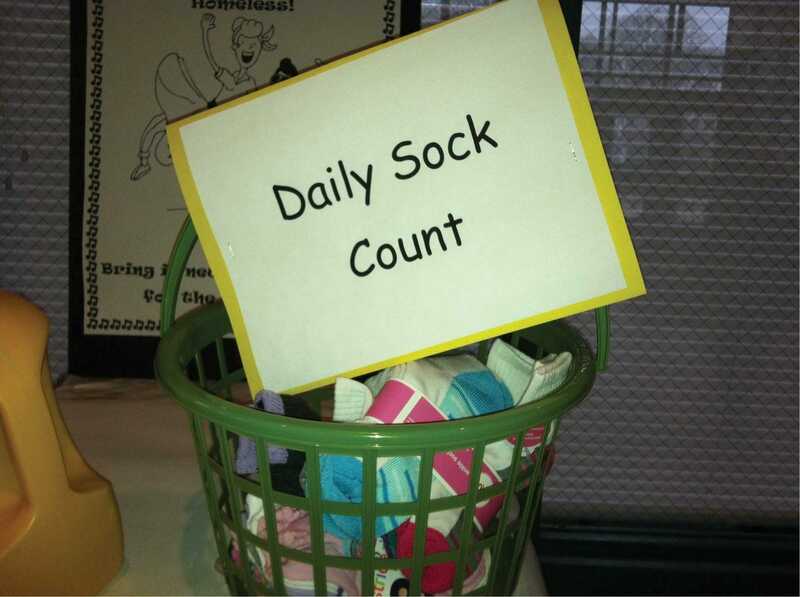 St. Thomas the Apostle school in Glen Mills, PA used a plastic basket to help collect new socks for the homeless.